ENERGY firm Cuadrilla has paused fracking in Lancashire again after more underground tremors were detected. A series of “micro-seismic events” in Blackpool were recorded on the British Geological Survey website following hydraulic fracturing at the site at Preston New Road, Cuadrilla said. 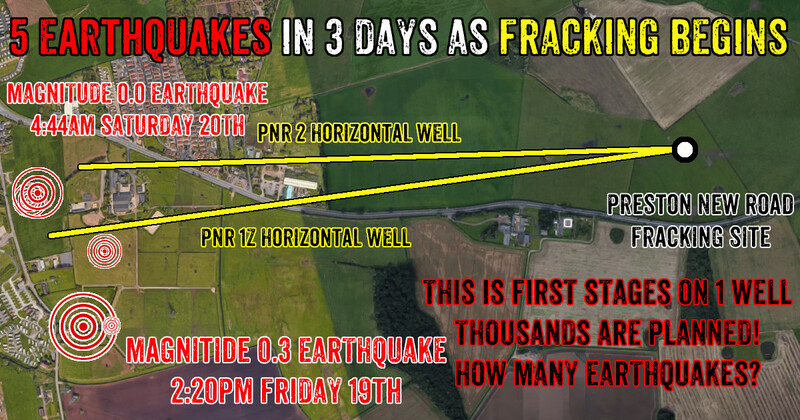 The biggest of the tremors, which was felt in Blackpool, was 1.5 local magnitude, and is the largest recorded since drilling for shale gas began in Lancashire on October 15. It occurred at about 11.20am, after fracking had finished for the day, according to Cuadrilla, which said in a statement that fracking will not continue for 18 hours as a result.